I am so thrilled to be celebrating my very first book birthday! But Porcupine isn’t a newborn today. She’s not even one or two. Would you believe me if I told she is turning 12? Porcupine’s Pie has been 12 years in the making, if you start at the very beginning. When I first started writing, I dabbled. A little here, a little there. Whenever I had some free time. (Which wasn’t very often since I taught elementary school and a teacher’s work is never done.) I took a few courses online. I read a handful of writing-prompt/inspiration-type books. I did this for 5 years. 1.) I wanted to pursue writing more seriously. 2.) I needed to find my tribe. SCBWI was the answer. 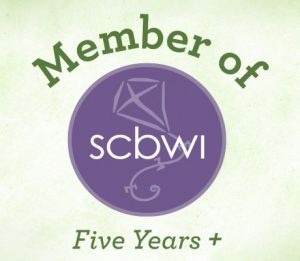 After learning about this professional organization for children’s literature, I knew that joining SCBWI would be like fitting my piece into the greater kidlit puzzle. So many resources, so little time! But none of them would be worth anything if I didn’t actually write. So I wrote. I revised. I put off doing the laundry. (Thankfully a writer can work in PJs!) And when it was ready, I sent my work out into the big, wide world. Sometimes …. crickets. Other times, form rejections. But once in a while, a personal response from an agent or an editor, which gave me the confidence I needed to keep going. I started keeping track of rejections in 2015. I wanted to push myself and, for me, that includes accountability and data. That year, I submitted 25 times with no luck. I received 1 personalized rejection. In 2016, I upped my game. My total of 53 submissions included: 4 personalized rejections, 2 agents that asked for more work, notification that I was accepted into the Rutgers One-on-One Conference, my first sale ever: a game/craft to Highlights Magazine, and, at the very end of the year, my first book acceptance. 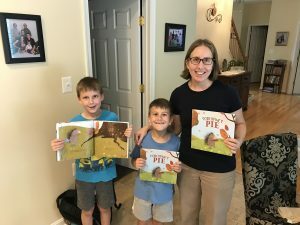 I had entered Porcupine’s Pie in the Beaming Books (formerly Sparkhouse Family) First Annual Picture Book Writing Contest (accepting submissions until Nov. 14, 2018) and I won! My dream of a book contract had come to fruition but in my mind, I was just getting started. My submission counter started over for 2017. On April 28, 2017, I was already on my 46th submission. I hit ‘send’ and less than a half hour later, I had an offer of representation! I signed with my agent, Wendi Gu, in May. So out of 124 submissions over two and a half years, 118 were rejections, 3 were magazine acceptances, 1 was a conference acceptance, 1 was a book contract, and 1 was my agent/client agreement. Keep at it. Track your submissions. Cheer your rejections. Celebrate responses. Be patient. Even when you meet a goal, there is always more to reach for. It has been nearly two years since I learned that Porcupine’s Pie would become a book. It feels incredible to hold it in my hands and share it with kids. Happy Birthday, Porcupine! LAURA RENAULD is a former third grade teacher who now spends her days imagining and creating. When she is not writing picture books about porcupines, pirates, and pickles, Laura can be found on a trail, at the library, or in the kitchen. She lives in Northern Virginia with her husband and their two story-telling sons. 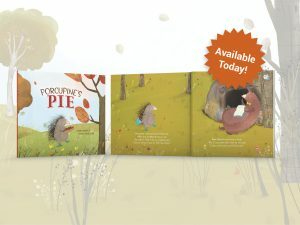 Porcupine’s Pie is her debut picture book. Look for her forthcoming picture book biography Fred’s Big Feelings: The Life and Legacy of Mister Rogers in Fall 2019. Visit Laura on the web at www.laurarenauld.com, where you can also subscribe to her newsletter and blog. Follow her on Twitter: @laura_renauld, @notable19s. Laura, thank you for sharing all of this – your journey. I am so touched and inspired by your perseverance. GOOD FOR YOU! What a wonderful testimony for anyone wondering if they should keep on trying. You are a GIFT. Great post! You share so many valuable resources for authors. I also enjoyed hearing more about your journey. Best wishes, Laura! Wonderful book. I love the caring and sharing in your book. I’ll make the pie this weekend.